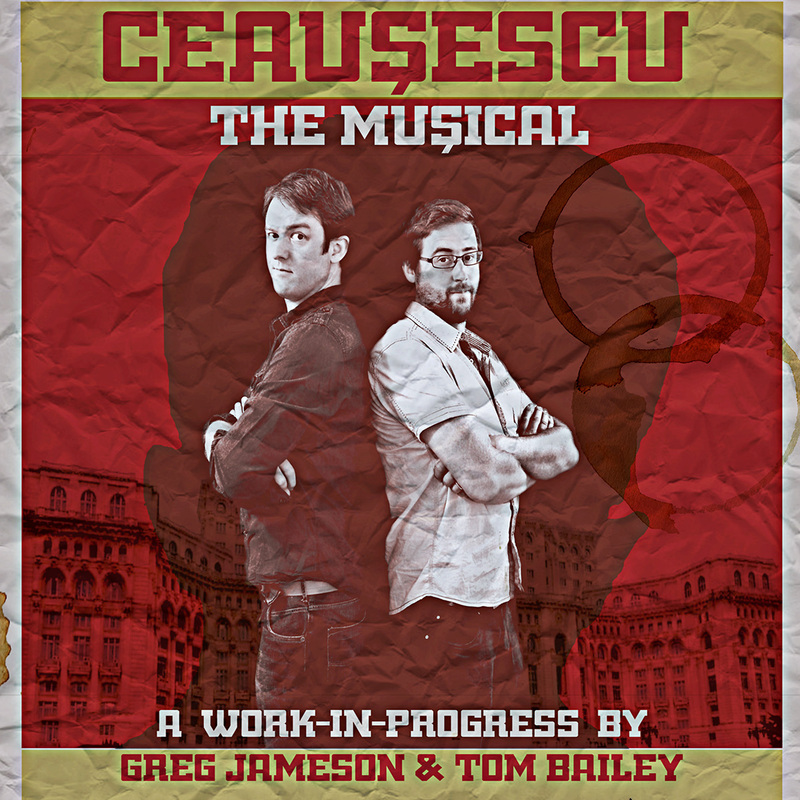 Ceausescu : The Musical. A work-in-progress by Greg Jameson and Tom Bailey. On Christmas Day 1989 Nicholae and Elena Ceausescu were shot to death. But why? Find out in this hilarious comedy musical about Romania’s most loveable dictators. Join Greg and Tom as they attempt to stage their hotly anticipated follow-up to “Buerk! The Newsical”. Featuring original music by Allan “long-fingers” Stelmach. Starring professionally trained actor Ollie Burton. NB: This performance will not feature Jeremy Irons, unless Greg and Tom come into some money.